Happy Easter folks! I hope you are having a beautiful Easter day! 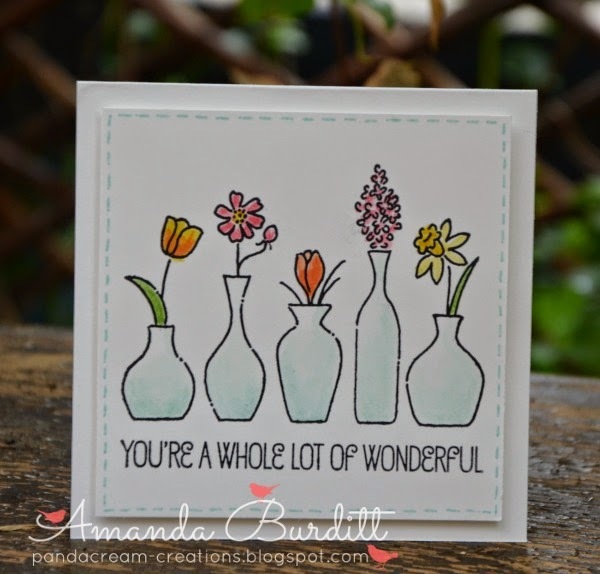 I've got a cute little note card for today's Simple Sunday! 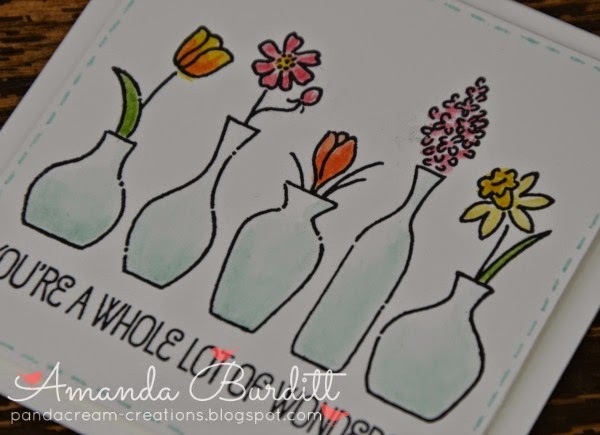 Its using a new stamp I recently treated myself to, Vivid Vases. This has been on my wishlist from the first moment I saw it so I'm surprised its taken me this long to get it! I've seen some really beautiful things made with this a la carte stamp so I'm looking forward to playing with it some more in the coming weeks! I used the blender pen to colour in these vases. When you're colouring its really important to remember to use a waterproof black in for the outline - there's nothing worse than spending all that time colouring and then having a muddy black bleed! I also love that the blender pens give a nice watercolour look. Usually when I use the blender pens I pick up a little colour on the lid of the ink pad but did you know that you can use blender pens with the stampin' write markers too? To use the markers with the blender pens just scribble on a clear block and then use the blender pen as usual. Hope you're having a great Easter!